The Southern African Large Telescope (SALT) is the largest (11 m in diameter) single optical telescope in the southern hemisphere. The construction of SALT has been completed and It is now in its commissioning phase. Funding is provided by a consortium of international partners from South Africa, the United States, Germany, Poland, India, the United Kingdom and New Zealand. SALT is located in Sutherland, where the major telescopes of the South African Astronomical Observatory are located. The second largest telescope in Africa has 1.9 m mirror diameter. It was built in 1938-48 for the Radcliffe Observatory, Pretoria. It is now at Sutherland. This is the largest (1.88 meter diameter) telescope in North and Central Africa, as well as in the Middle East. It is at Kottamia Observatory, which In the desert 75 km northeast of Helwan in Egypt. Although First Light occurred in May 1964, the telescope has been significantly upgraded. This 1.5 m telescope is located at Boyden Observatory in South Africa. Used extensively since the early 1930’s. The Infrared Survey Facility (IRSF) possesses a mirror of 1.4 m diameter. It is mainly used for a near-infrared survey of the southern celestial sphere. It was constructed by the Nisimura telescope company of Japan and is located in Sutherland. The mirror diameter is 1.0 m and it was built in 1964 and first housed in Cape Town. It is now at Sutherland and is also known as the Elizabeth Telescope. This is a 0.75 m Automatic Photometric Telescope, whichwas commissioned in mid-2000. In honor of his life and work, the telescope was named after Dr A.W.J.Cousins. This was erected in 1974 at Sutherland. With an aperture of 0.61 m it is the largest telescope at the South African Astronomical Observatory (SAAO) in Cape Town. It was built in 1897. It was built by Boller & Chivens in 1967 for the Republic Observatory, then moved to Sutherland in 1972. Yonsei Survey Telescope for Astronomical Research (YSTAR) has a mirror diameter of 0.5 m.It is part ofThe Near Earth Space Survey (NESS) Korean telescope, which is located in Sutherland. Is primarily used for searching for near earth objects (asteroids) as well as galactic variable stars. Has an aperture of 0.45 m. Located at SAAO in Cape Town. Erected in 1955. Located at SAAO in CapeTown. Its aperture is 0.41 m. Erected in 1994. Located at Boyden Observatory on the outskirts of Bloemfrontein in South Africa. It aperture is 0.41 m.
This is a 0.41 m telescope at Boyden Observatory. It is managed by the University College Dublin in Ireland. Installation was completed in April 2006. This history of the telescope goes all the way back to 1889. With an aperture of 0.33 m it was one of the first telescopes at Boyden Observatory. Although a research grade telescope, today it is mostly used for educational purposes. 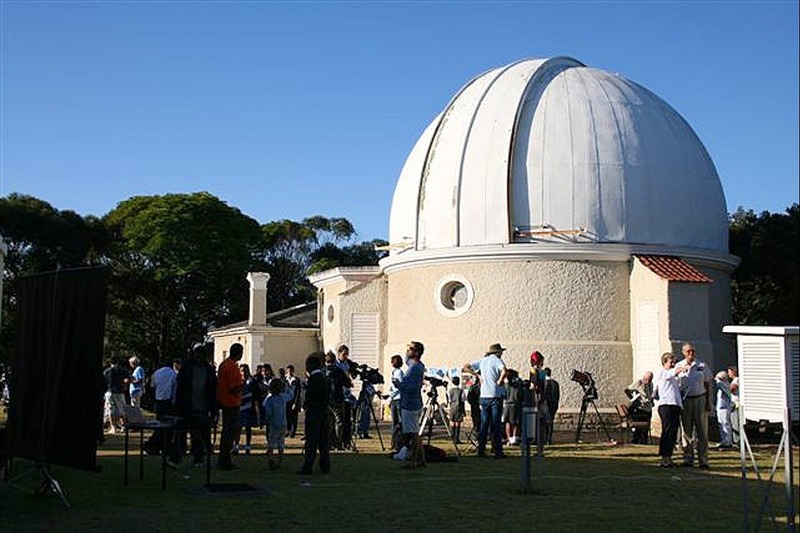 It is the most historically important instrument at Boyden Observatory in South Africa. Its aperture is 0.25 m.
Is a solar telescope of 0.20 m aperture at Boyden Observatory. Currently, it is mostly used for educational purposes. A small solar telescope, which is located in Sutherland. It is used to monitor low-degree solar oscillation modes and is operated by two British universities. It is the United Kingdom’s major facility for detecting extrasolar planets. Consists of an array of 8 cameras each with an aperture of 11.1 cm. Located in Sutherland. Kilodegree Extremely Little Telescope (KELT) as the name implies has an extremely small aperture (4.5 cm). It is designed to detect extrasolar planets orbiting bright stars (8<10). It is owned and operated by Vanderbilt University. It is located in Sutherland, South Africa. 1.0 meter optical telescope, moved from the La Silla Observatory in Chile and being rebuilt on mount Djogari in Burkina Faso (first light, beginning of 2012). Located at the Hartebeesthoek Radio Astronomy Observatory in South Africa, 50 Km west of Johannesburg. 15m Experimental Demonstrator Model originally build as a technology demonstrator for the SKA precursor MeerKAT. A radio telescope, which consist of seven dishes. They are the first seven antennas of the full MeerKAT array and are located in the Northern Cape of South Africa. MeerKAT is a technology demonstrator for Africa’s bid to host the Square Kilometer Array (SKA). SKA will consist of 3,000 dishes and extend 3,000 km. Australia and Africa are vying to host it. KAT-7 is primarily an engineering test-bed for MeerKAT, but it will also be capable of scientific observations. In April 2010 four of the seven dishes were linked together to produce its first interferometric image of an astronomical object. The Mauritius Radio Telescope (MRT) located in Mauritius is a 2 km by 1 km T-array of helical antennas. It was inaugurated in 1992 following joint efforts of the Raman Research Institute, India and the University of Mauritius. The primary aim was to survey the southern radio sky at 150 MHz to complement the Cambridge 150 MHz Northern Sky surveys. MRT has also been used to observe Pulsars. Nigeria is constructing a 25 m radio telescope that will be operational by 2012. The telescope will operate in the 1.2-25 cm range and be part of the global VLBI network. 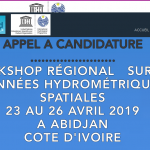 Plans for scientific investigations include radio-timing of young to middle-aged pulsars, radio-spectroscopy on molecular clouds, and to study radio pulsars, to do radio-spectroscopy, and various studies in planetary and solar science. Previous articleHow much does Nigeria spend on space science and technology?